Ships tomorrow if you order in the next 18 hours 55 minutes. 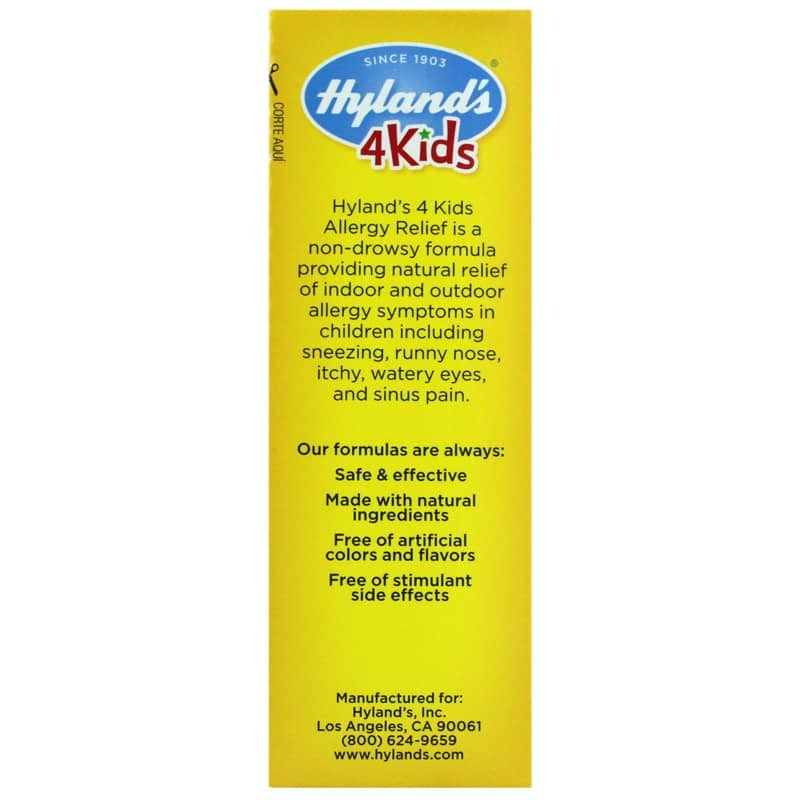 Allergy Relief 4 Kids from Hylands offers homeopathic support for symptoms of seasonal discomfort, and is specially designed for kids ages 2 to 12 years old. 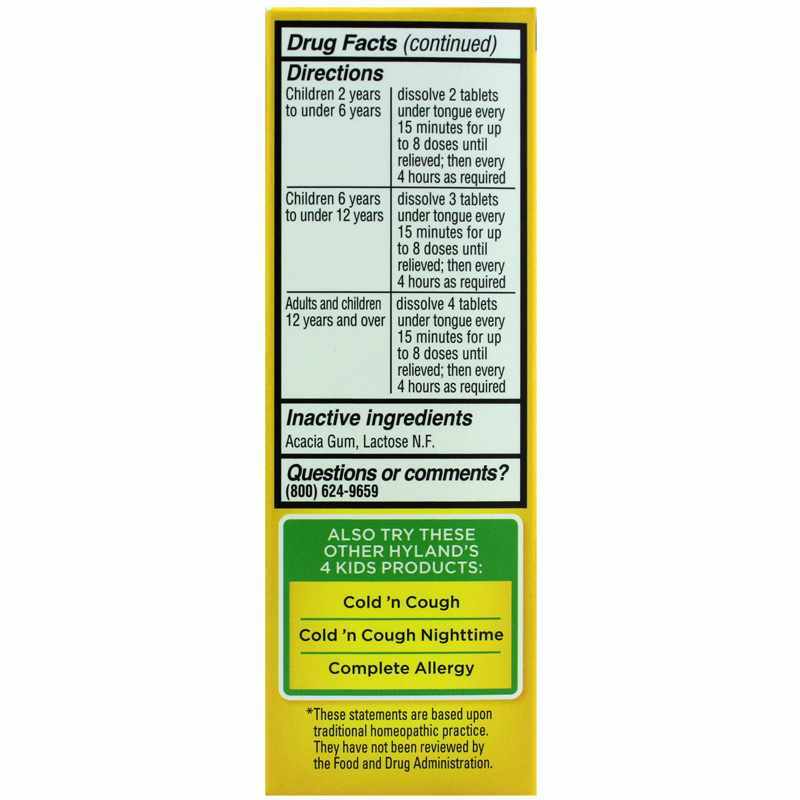 These quick dissolving tablets are made according to the idea that “like cures like,” and contains small amounts of ingredients like Aconitum Napellus 6X, Euphrasia 6X HPUS, Natrum Muriaticum 6X HPUS, and more. 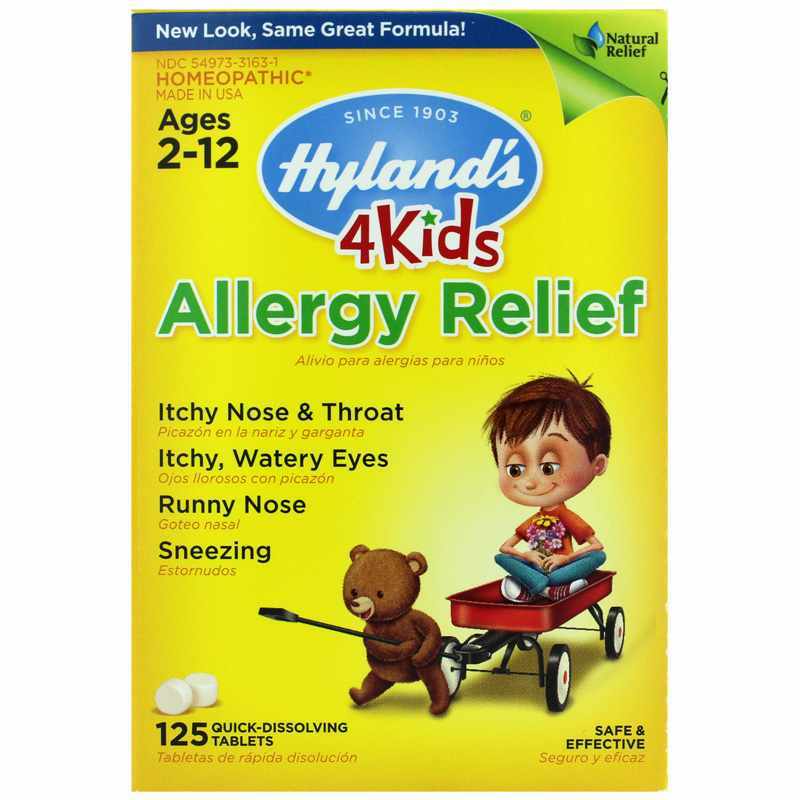 In addition to providing temporary relief for occasional symptoms of seasonal health challenges, Allergy Relief 4 Kids may also support respiratory system health. 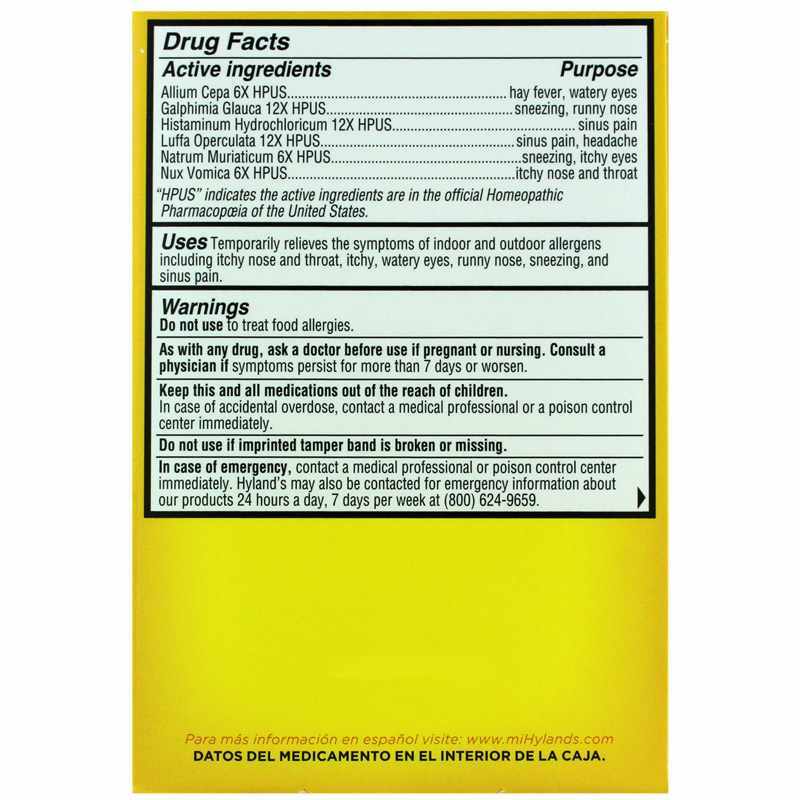 This product contains no artificial flavors and is free of pseudoephederine. Children 2 years to under 6 years: Dissolve 2 tablets under the tongue every 15 minutes for up to 8 doses until relieved, then every 4 hours as required. Children 6 years to under 12 years: Dissolve 3 tablets under the tongue every 15 minutes for up to 8 doses until relieved, then every 4 hours as required. Children 12 years and over: Dissolve 4 tablets under the tongue every 15 minutes for up to 8 doses until relieved, then every 4 hours as required. Do not use to treat food allergies. As with any drug, ask a doctor before use if pregnant or nursing. Consult a physician if symptoms persist for more than 7 days or worsen. Keep out of the reach of children. Do not use if imprinted tamper band is broken or missing. In case of accidental overdose, contact a poison control center immediately.